Let’s get back to the basics and discuss the best way to brush and floss your teeth. 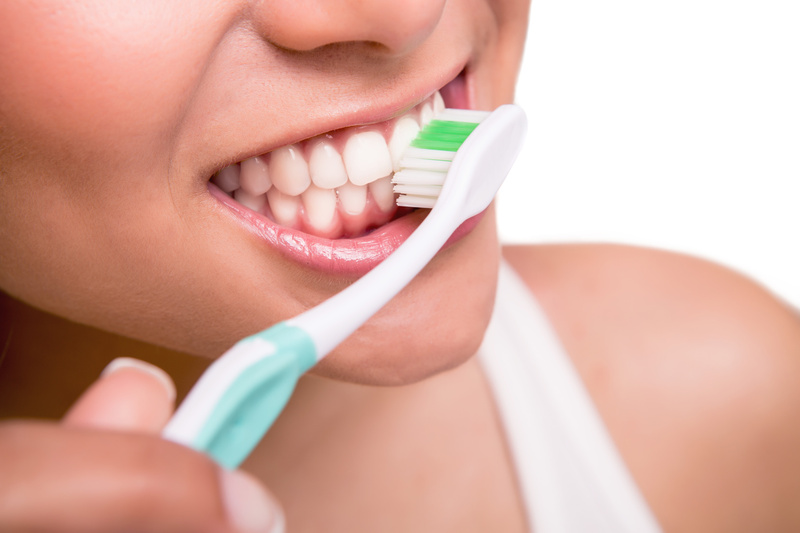 Daily oral care at home is the foundation for a healthy mouth. With a good routine, it’s possible to keep your teeth for life! First, select a soft bristle brush. This prevents gum irritation and enamel loss when brushing. Brushing too hard or with a hard bristle brush does more harm then good! Hold your toothbrush at a 45 degree angle along the gumline. Brush the surface of each tooth, front and back. Don’t forget the tongue! Use the tongue scraper on the back of the brush head or use the bristles to clean your tongue and get rid of bacteria. Start from the back of your tongue and go forward, rinsing your brush or scraper with each pass. Flossing prevents gum disease and minimizes bad breath. For best results, floss daily before going to bed each night. Use a good amount of floss, around 18 to 24 inches, and wrap the ends around your index and middle fingers. Hold floss tightly and make a u-shape around each tooth to clean between them. Do not “saw” up and down, as doing so can irritate your gums and cause bleeding. Instead, gently go up and down along the sides of each tooth. Daily flossing prevents gum soreness and bleeding. Healthy gums are firm, pink and fit snugly around each tooth, protecting the root. If your gums bleed during brushing or flossing, you need to visit the dentists at the Yuba City Dentistry Group for gum disease treatment. Remember these brushing and flossing basics and enjoy the benefits of a healthy mouth and the satisfaction of positive check-ups by our skilled dental staff!